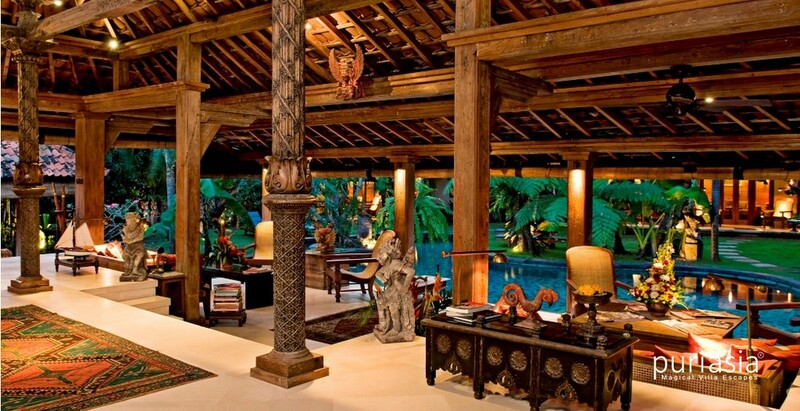 Located within Seminyak’s exclusive Laksmana private estate, less than five minutes’ walk from the beach, is the sublime Des Indes Villa Bali. 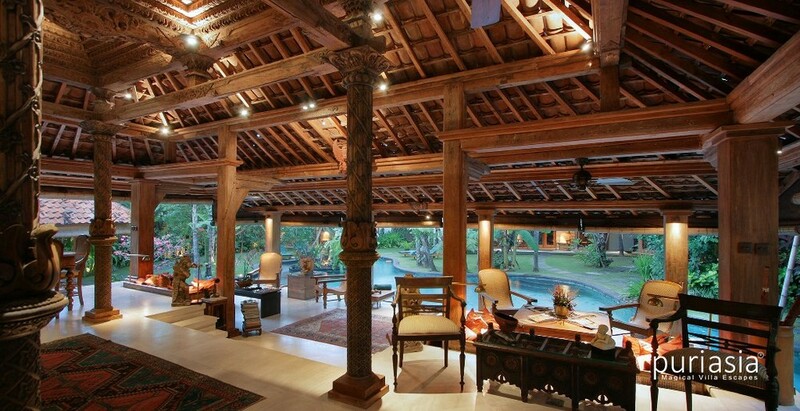 This fully staffed, four-bedroom multi-pavilion residence is distinguished by its heritage joglo – a centuries’ old, elaborately carved teakwood building that was once the home of a Javanese aristocrat and now forms a palatial open-plan living pavilion. 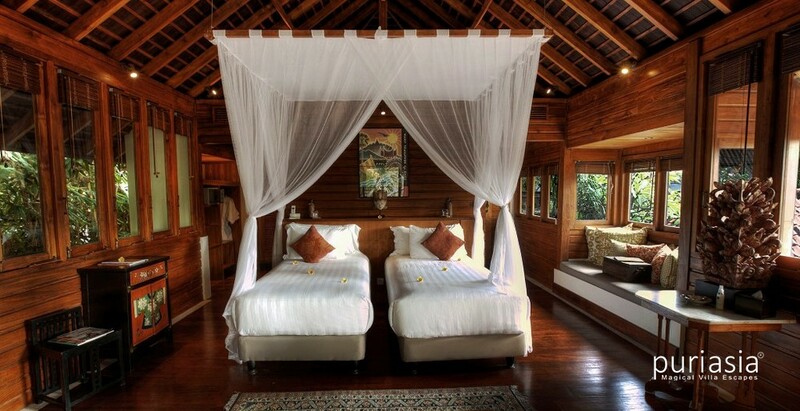 The two master bedroom pavilions are just as generously proportioned, with deep verandas, den/libraries, air-conditioned bathrooms and tropical garden showers, while the two guest suites occupy a separate two-storey pavilion. Every impeccably decorated room features colonial-era furniture, oriental carpets, heirloom artefacts and curios, heritage posters and original art – animated by an experienced team that includes butlers and an accomplished chef. The pavilions encircle a 21-metre lagoon-style swimming pool at the centre of the villa’s mature tropical garden, edged with sun-loungers and parasols, and a traditional balé. Beyond the villa walls, the expanse of Petitenget Beach is barely five minutes’ walk away, along with some of Bali’s best-known establishments – among them Ku De Ta, Potato Head, Breeze at Samaya and La Lucciola. 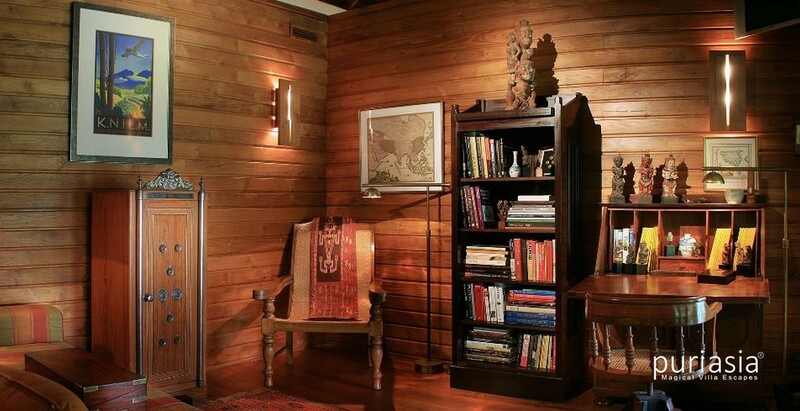 Recline on a plantation chair with an espresso and good book. Follow a refreshing dip with a siesta in the garden balé. Sip a sunset cocktail prepared by your butler, then, after a candle-lit dinner prepared by your personal chef, retire to your romantic four-poster bed and sink into a deep restorative sleep. 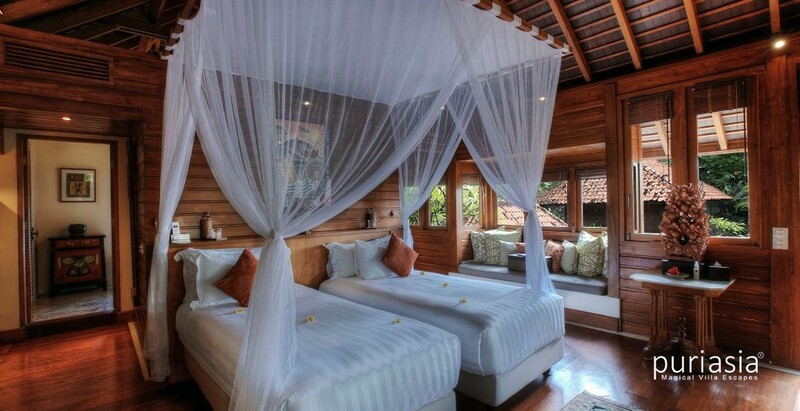 Des Indes Villa Bali is particularly suited to one or two families with older kids (though toddlers are welcome too), as well as groups of friends. 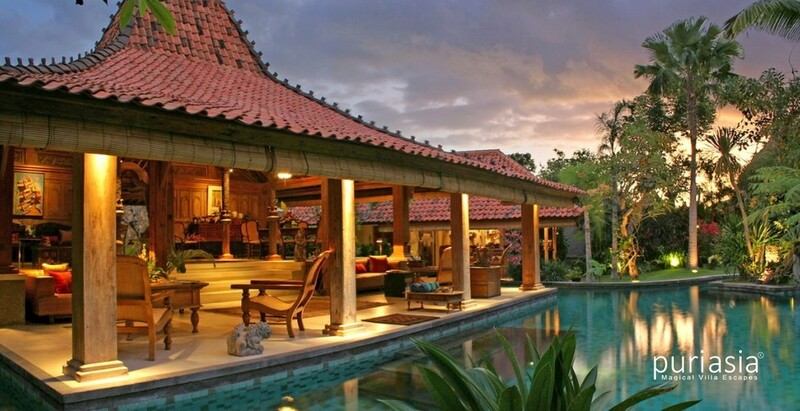 While up to 12 guests may be accommodated within the villa, a further 14 guests can stay in Des Indes Seminyak in the same estate. 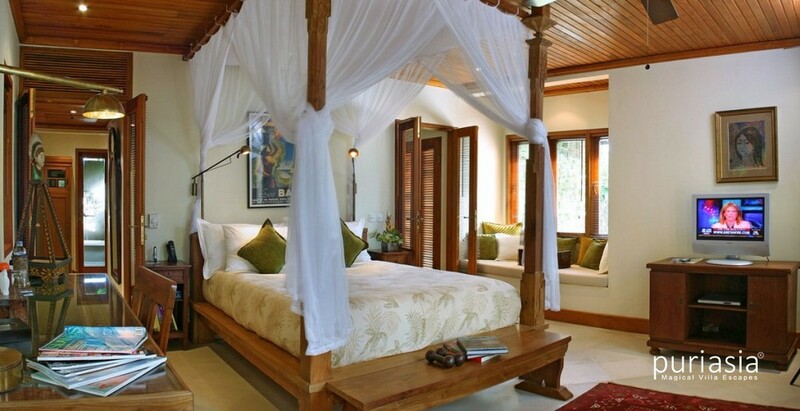 Occupying a separate two-level building are the two beautifully furnished air-conditioned (and fan-cooled) guest bedrooms – each with a four-poster bed (which can be configured as two singles in the upper-level room), a window-seat that doubles as a spare bed, and colonial-style seating set before a 37-inch TV. 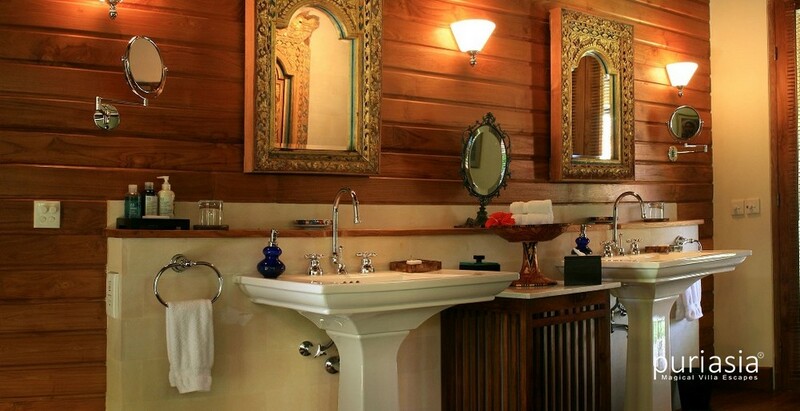 Both rooms open onto a veranda, and also have a walk-through dressing area and ensuite bathroom (the downstairs room with alfresco shower and bathtub). 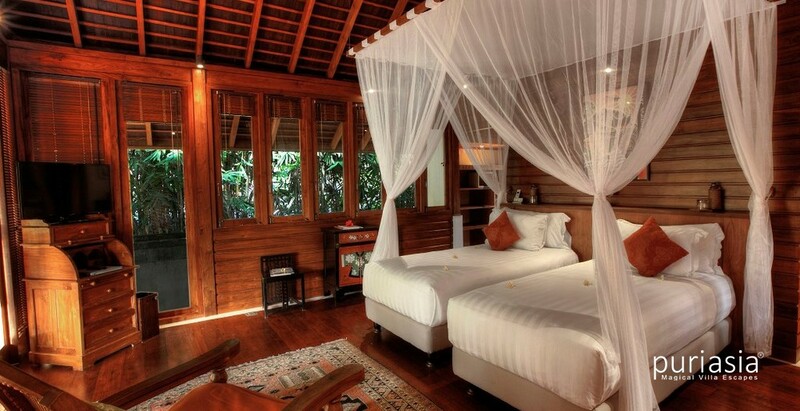 The upper-level bedroom has its own entrance across the koi pond, and can also be accessed from the garden bedroom; useful for families who prefer inter-connecting rooms. 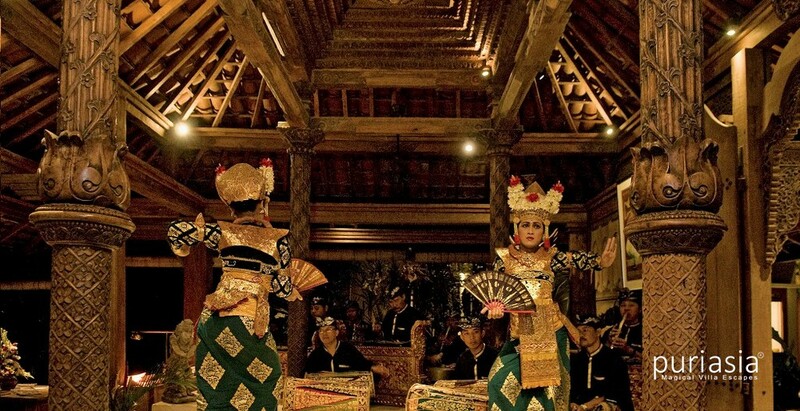 At the heart of Villa Des Indes Bali is the magnificent living pavilion – a centuries-old elaborately carved teakwood joglo, once the home of a Javanese aristocrat and believed to be the best preserved in Bali. 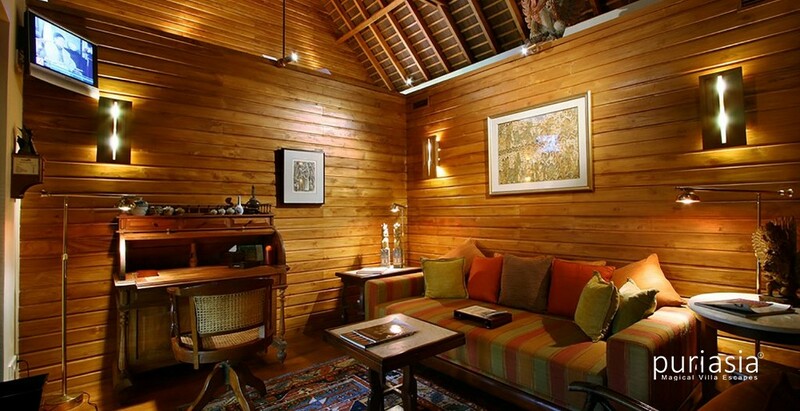 Within this large open-sided living space are separate zones: a dining area with table for eight, and three different seating areas where colonial-style cane and rattan sofas and planters chairs cluster around coffee tables laden with books on culture and art. Oriental carpets, lacquer ware drums and stone statues are among the myriad decorative pieces embellishing this glorious space. In a separate pavilion is the guest bar and butler’s pantry, with antique masks lining one wall, an old cabinet brimming with spirits, and bar chairs pulled up at the counter ready for sunset cocktails. Along a corridor is the well-equipped kitchen – the chef’s domain, though guests are welcome to use it if so inclined. 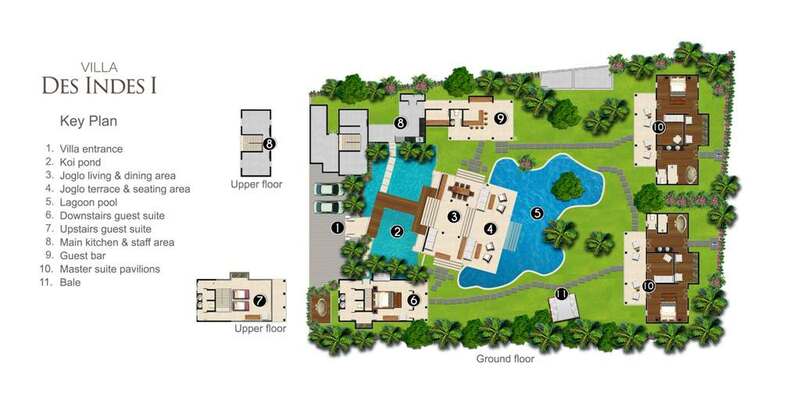 Further living spaces are found within the sleeping pavilions: an air-conditioned den/library in the master pavilions and verandas off the guest rooms provide private corners for repose away from the crowd. Within the garden is a cushioned balé that invites lengthy afternoon siestas. Even within the lagoon pool, there are places to sit, semi-submerged with a cocktail or good book. 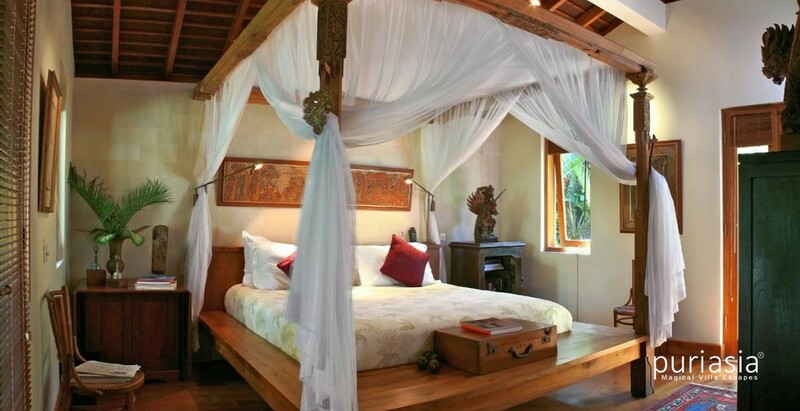 Des Indes Villa Bali capacity for 8 adults (3 king-size beds; 1 set of twin beds that can be joined to create a king) plus extra beds for 4 additional guests (adult or children) on request (additional charge applies). 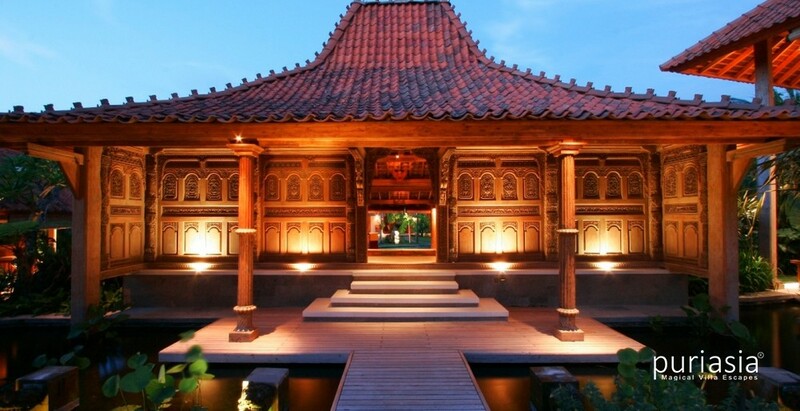 Villa Des Indes Bali makes a great villa choice for families. Equipment such as baby cot, high chair, booster seat, baby monitor and pool fence can be supplied on request for a small additional charge. 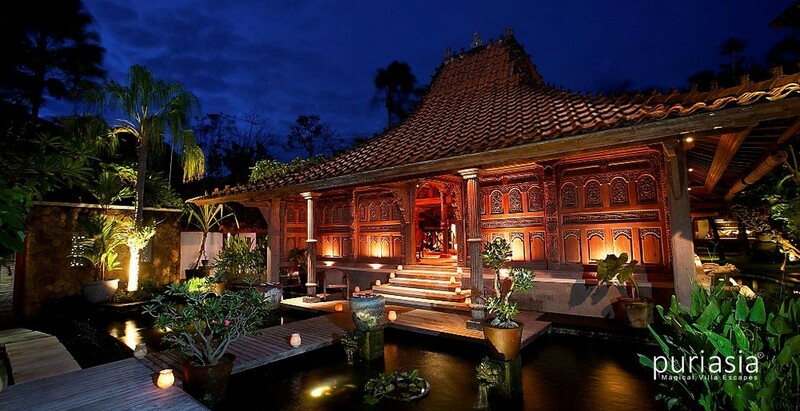 The villa’s central Seminyak location places many attractions within easy walking distance. If transport is required, the villa staff will happily call one of the island’s safe and reasonably priced metered taxis, or organise the hire of a car and driver for day trips further afield.